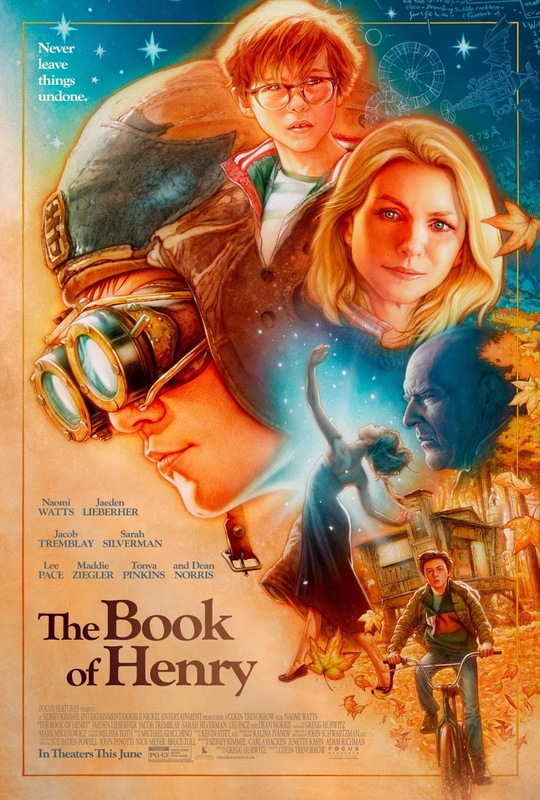 The Book of Henry is a difficult movie to appreciate. It is not completely successful in what it iss trying to do, or what I assume it is trying to do, which is pay tribute to the mind of a child and the kinds of solutions children dream up to deal with complex and frightening adult worlds. The film needed to find a way to do this that is consistent with the kind of fantasy workings which play out logically in a child's plans and I'm not sure The Book of Henry gets there. But the movie not being completely successful doesn't doom it to failure either. It is filled with little moments which have a spark of both charm and magic as well as an over arching story which is touching. As the film moves through its somewhat incongruant stylistic and genre choices, it can feel sometimes disjointed. The third act requires an amount of leeway as it gets a bit absurd. Absurdity is a legitimate story telling technique but it has to be pulled off well. This film only sort of gets there but when it does it can be moving. It struggles with some difficult issues. For example, part of the film's story deals with how to respond to abuse you see around you in the world. It's not an easy question. The film's approach, to take a child's view of how to do that, a view that is absurd in the best way, is fascinating in itself. The challenge is for us to buy into it. For some audiences it will resonate. I'm not sure director Trevorrow will sell it to everyone. But there are moments that are magical. There is a dance sequence near the end which captures a great deal of the difficult emotions involved with the difficult topics. There are moments of relationships between characters which spark something, although there are often missed character opportunities as well. The Book of Henry is a challenging film which doesn't quite succeed but still offers some inspiring moments.